Will Raymond's foray into small town India dilute its brand exclusivity? Textiles major Raymond Group on Wednesday announced its foray into real estate by launching a 3.3 million square feet residential project in Thane at a time when the sector is going through a liquidity crisis. 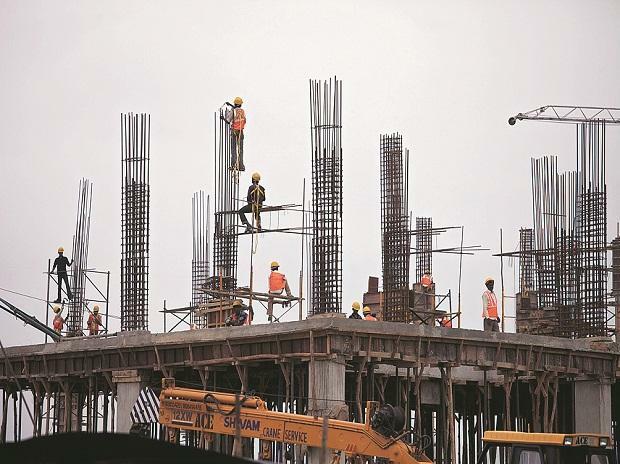 The project, which would be developed by its real estate arm Raymond Realty, will house 3,000 residential units across 10 towers in the first phase on a 20-acre land parcel that Raymond owns in Thane. This is part of the group’s plan to monetise its non-core assets to pare debt. Gautam Hari Singhania, chairman and managing director of Raymond, said, “In our continuous efforts to enhance value for stakeholders, Raymond has forayed into real estate development in order to monetise the land in Thane.” He said since the land parcel was in the heart of Thane, it offered huge potential for venturing into real estate and that going forward Raymond intended to build a large integrated township at that location. This is part of a 140-acre land parcel that the company has at the location. Leaving the schools (run by Smt Sulochanadevi Singhania Trust), there is around 125 acre contiguous land parcel at the area. The land housed its flagship textile factory and the company reached out for an out of court settlement with its labour union (representing nearly 2,000 employees at the Thane unit), which received a total compensation of over Rs 300 crore in lieu of giving consent for the real estate development on the land. The firm also secured requisite government clearances for a real estate project on the mill land. K Mukund Raj, chief executive officer (real estate), Raymond, said the maximum amount that Raymond would invest in this project was around Rs 250 crore, of which a significant portion had already been done. This excludes the amount paid for settlement with the labour union. The project would not require significant debt funding, he added. In the first phase, Raymond Realty is expected to achieve a top line of over Rs 3,500 crore with a profit margin of over 25 per cent during the period of five years. The cost of construction is around Rs 5,000 per square feet for the saleable area. This roughly works out to be around Rs 1,650 crore for 3.3 million sq ft development. "The 'Aspirational District' project, which will come up over 14 acres, would house 2.7-2.8 million sq feet of residential units, while the premium project (over 6 acres) would have around 0.5 million sq ft housing. These would be 42-storey towers," Raj said. Raymond’s net debt was Rs 2,185 crore debt in its books as on Q3FY19.